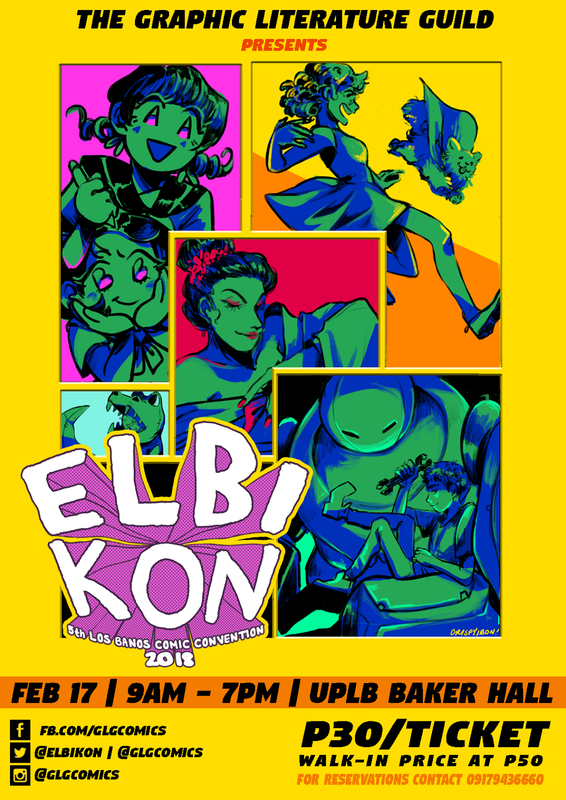 ELBIKON is an annual comic convention spearheaded by The Graphic Literature Guild that aims to boost the local comic scene. It is the fifth year of ELBIKON, the largest gathering of comic creators in Laguna. In celebration of National Arts Month, the event will be held on Feb. 17, 2018 (Saturday) from 9AM-7PM at the Baker Hall of the University of the Philippines Los Banos. This is simultaneous with the UPLB Febfair 2018. Here, artists showcase their crafts—in form of comic books, artworks, and other merchandise. It also serves as a venue for learning and exchange of ideas as well-known comic icons give talks and lectures on a wide variety of topics. 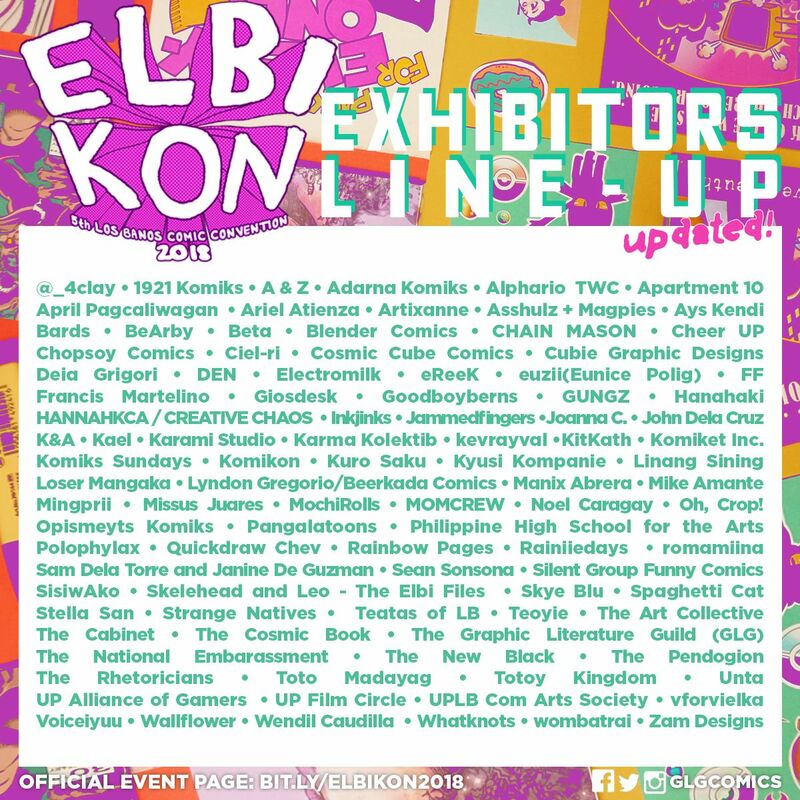 Over 100 exhibitors will be selling their works, including Manix Abrera (Kikomachine Komix), Toto Madayag (Libreng Komiks) and other comic artists. Artists Richard Mercado (Uy Si Crush), Marian Hukom (Marianie), Electromilk, and Gioseppe Custodio (Loser Mangaka) will be giving talks on a variety of topics on comics. Free workshops by Mac Andre Arboleda (Asshulz) on collaboration in comics, EK Gonzales (komiksninja) on reviewing comics, and Rafael Gumboc on comic-making will also be held simultaneously during the event.